When it comes to make-up, I keep to a very simply routine of concealer, eye liner, and a smokey eye shadow. I'm too lazy to get creative with my make-up and I also tend to prefer a more natural look. Plus, if you guys have noticed, it's hard to tell I'm wearing any in my posts anyway! When the awesome people from Anastasia Beverly Hills came around and asked if I would want to sample their new Lash Genius Clear Waterproof Topcoat, I decided to give it a try. To be honest, I make a mess whenever I try to wear mascara. I end up with mascara all over my eye lid, under my eyes...pretty much everywhere. This is extremely unfortunate since I have short eyelashes. (Woe is me). 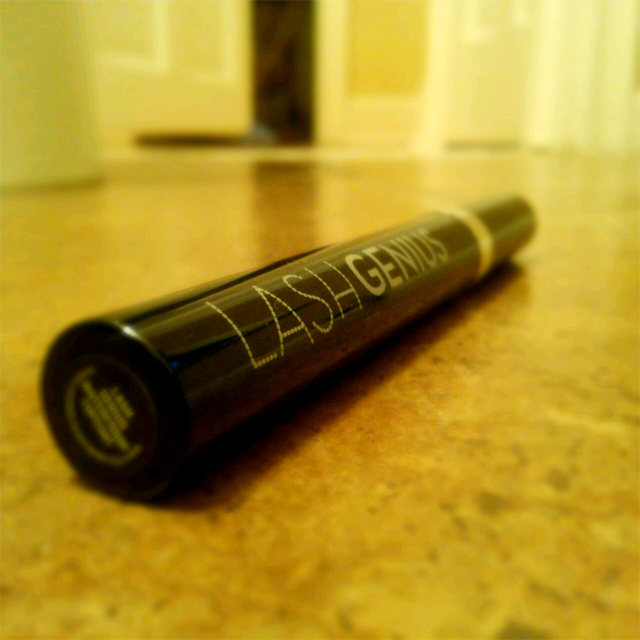 When I got the Lash Genius in the mail, I decided to try it on it's own. Instead of being a topcoat, it would serve as my mascara. Turns out? I loved it. Because it's clear, I avoid the mess of having black streaks covering my eyes. Also, Lash Genius still gives me a little added length to my lashes and separates them - giving me a more natural look. Please excuse my awkward up-close shots. It's like you're staring into my soul...in a good way.